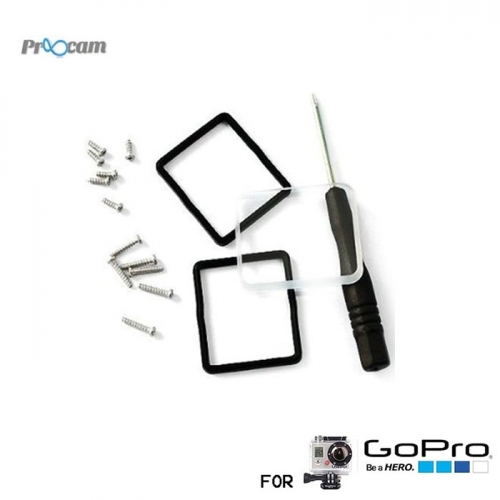 The Proocam Pro-J031 Glass Cover Lens for Waterproof Housing lens replacement for GoPro Hero 3 housing. Double-sided optics and waterproof coating ensures high transmittance. Replaces worn and damaged housing lens. 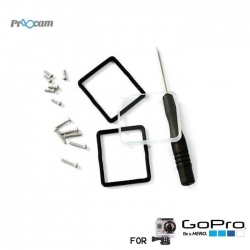 Package includes 1 lens, 2 seals, replacement screws and 1 screwdriver. High quality lens replacement kit for hassle-free repairs.